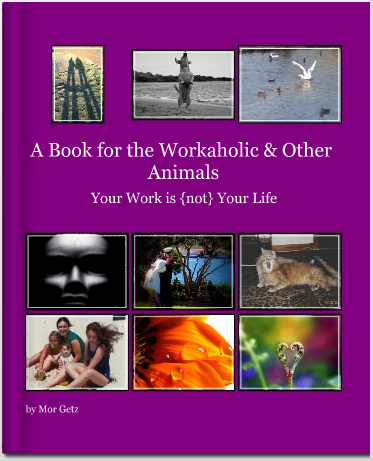 A Book for the Workaholic & Other Animals: What is this Book? 3) how to change automatic behavior, and more…. Part I – Connecting Feelings by learning to recognize emotions. Part II – Consciousness, learning to identify the repetitive motion of it. Part III – The Body is about learning how much power we have when we stop. “I hope that the book gives you the opportunity to cherish all those little moments you might regret if you didn’t take a deep breath some times and just look around you ….” . Comments Off on A Book for the Workaholic & Other Animals: What is this Book? התמכרות לעבודה: האם זו בעיה או בכלל פתרון?